Entrepreneur Launch Pad is a 501(c)3 non-profit organization that operates thanks to generous support and donations from local businesses, community organizations, and individuals. We are grateful to our current sponsors & partners and are always looking for new businesses and organizations to work with. Sponsoring ELP means sponsoring Utah’s economic future. ELP provides education and support to entrepreneurs so they can become business owners to provide jobs and support their community. Sponsorship is also a great way to spread the word about your product or organization to the dynamic and influential consumers and business owners that make up ELP members. Sponsors receive recognition on the ELP online and printed materials and are publicly recognized at ELP meetings. 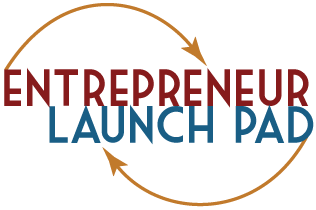 If you or a business you know is interested in sponsoring Entrepreneur Launch, please contact Boyd Petersen, Boyd@elpnow.org, 801-580-3310. If you would like to make an in-kind donation, please contact Boyd Petersen, Boyd@elpnow.org, 801-580-3310. If you would like to support ELP but are not ready or able to be an official sponsor, please consider making a one-time donation. All donations go to improving the quality of our training to help entrepreneurs succeed. We welcome donations of any amount. Please click the button below to be directed to a secure payment site powered by PayPal where you can donate using a credit/debit card or your PayPal account. For more information on donations, please contact Scott Farnes, ELP Treasurer, at treas.elp@gmail.com. If you would like to support ELP through non-financial means, consider volunteering or speaking at one of our meetings.